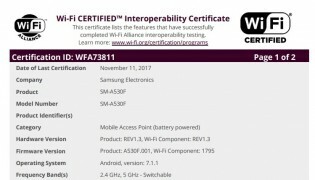 Wi-Fi Alliance just granted the required certification to two Samsung phones. 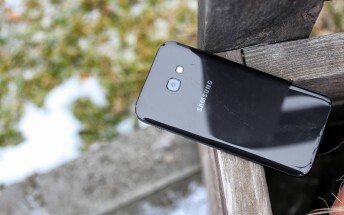 The products have model names SM-A530F and SM-A730F, meaning these are the Samsung Galaxy A5 (2018) and the Samsung Galaxy A7 (2018). According to the documents provided, both phones will run the Android 7.1.1 Nougat. Although it would be better if they came with Oreo out of the box, Samsung tends to launch its A series smartphones on older OS versions and update them subsequently. Back in the beginning of 2017, Galaxy A3, Galaxy A5 and Galaxy A7 all came with Marshmallow, but eventually got the upgrade to Nougat. 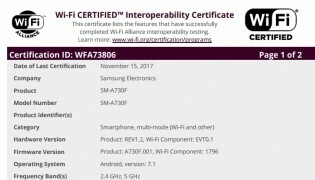 The Wi-Fi certification reveals the Galaxy A5 (2018) and the Galaxy A7 (2018) are certified for Wi-Fi 802.11 a/b/g/ac. The new Galaxy A5 and Galaxy A7 might come with dual-camera setup on the front while the fingerprint goes on the back. This is most likely to happen if the phones arrive with Infinity Display, as previous rumors suggested.